Founder Linda Niemeyer in her element. Each year Blue Sky Fibers packs up for a yarn trade show. 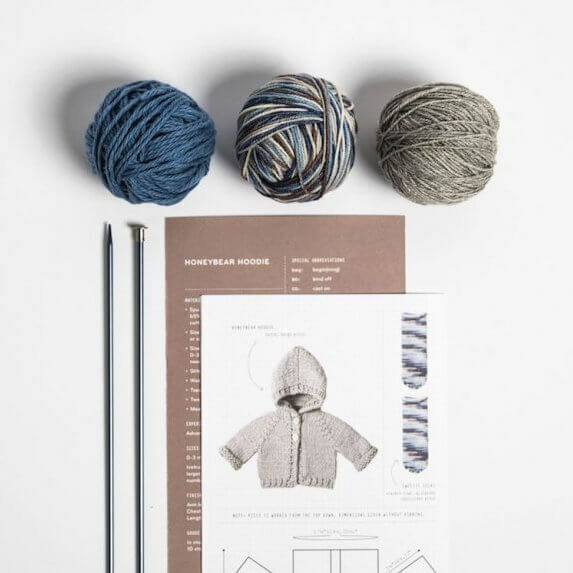 We spend months prior planning our booth display, designing our new yarns, finalizing patterns and putting together the details of our lookbook. In honor of our 20th anniversary, we decided to have a little extra fun. 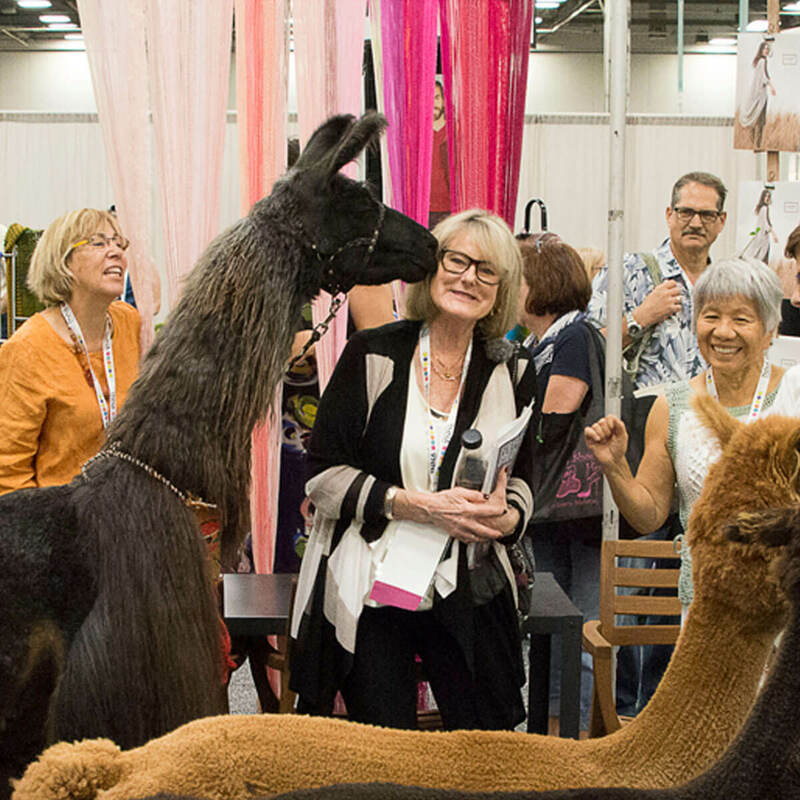 Here's a behind-the-scenes of our 20th anniversary experience at the TNNA trade show. Booth display after set up. We landed in Colombus Ohio extra early and sleepy. Then it was straight to the convention center to set up our booth. For the design, we planned to showcase all of the offerings that we have built up over the past 20 years. Naturally, we thought the best way to do that would be to create a 8x32 foot yarn installation! We organized the nearly 400 color options that we offer in eight monochromatic tones, and hung them from pieces of fencing. After hours of hanging, assembling and steaming, it was time to finish the day with some fun. 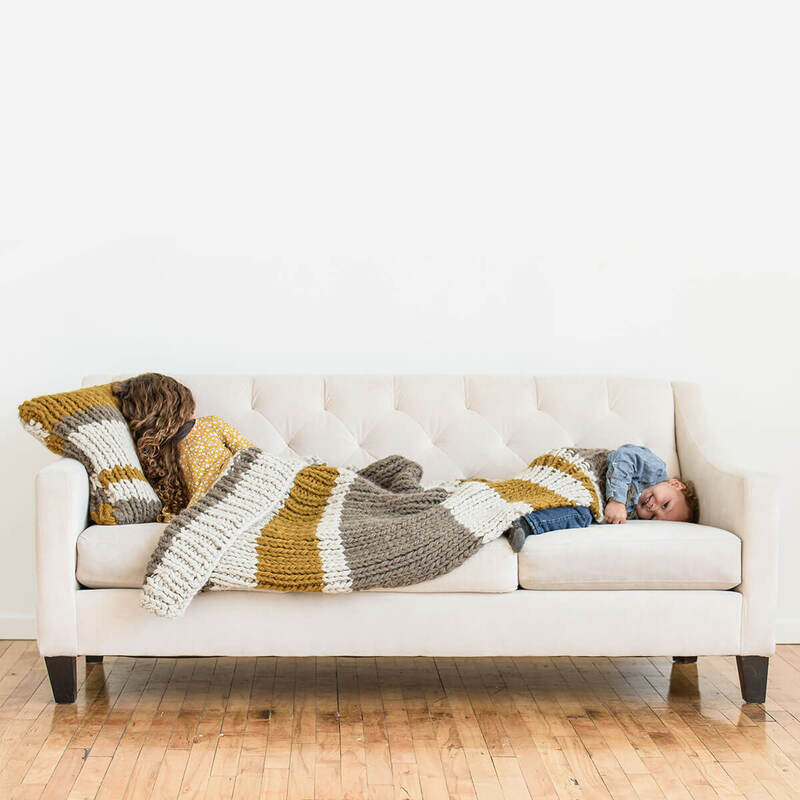 We got some rest and inspiration at the fashion show, this year we had three pieces go down the runway: the Cold Spring Cocoon, the Bayport Throw and the Weldon Alpaca Wrap. 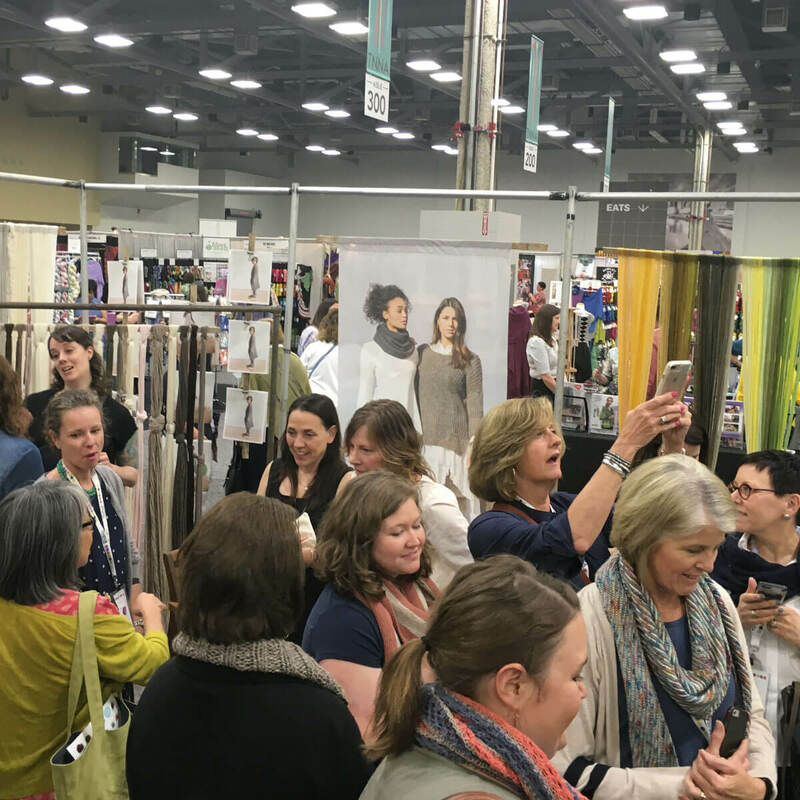 The first day of the trade show kicked off with a bang as stores filled our booth trying on our new pieces, touching the new yarn and placing orders. Our displays brought in a crowd interested in seeing our newest products including the 7 new colors of Techno and our Limited Edition yarn, American Scenic. 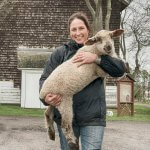 Tabbethia Haubold of Long Island Yarn & Farm, our partner in creating American Scenic, gave an educational talk about creating artisan yarn in the U.S.A. You can learn more about Tabbethia and this beautiful yarn here. After a long but rewarding day, we decided to kick back with some of our yarn store friends, get some drinks and enjoy each other's company. Taking a break to hang out with StevenBe and Missy. In honor of our backyard beginnings, we brought a fun and furry surprise - alpacas! As you can imagine, it was a zoo. 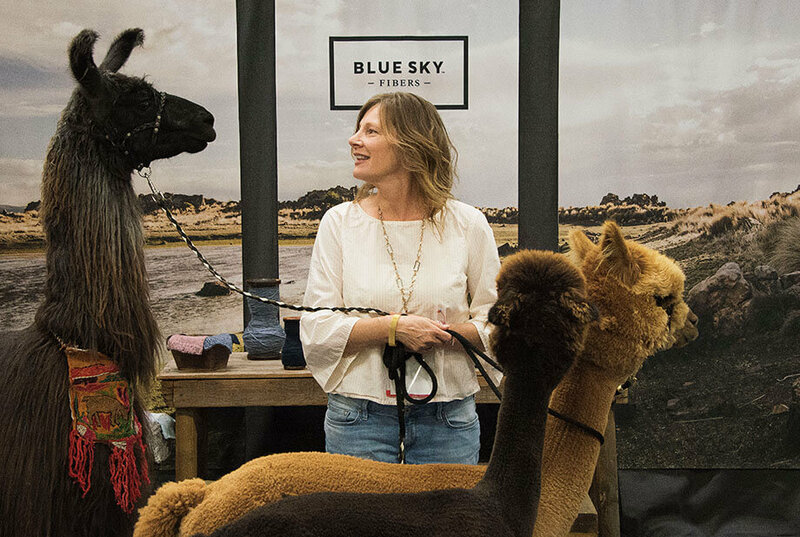 People from all over the yarn industry were in our booth taking pictures, getting pets in and simply enjoying the presence of these sweet animals. We spent the rest of the day laughing about how fun that was and continued to meet with stores. The crowd of people to see the alpacas. A sweet kiss from the calming llama. Last day meeting with stores and getting orders in. After the show is closed we went over to the market to enjoy some food and talk about all of the success and fun that we had. Then back to the booth to tear down, pack up and get ready to go home. Finally, we fly home. 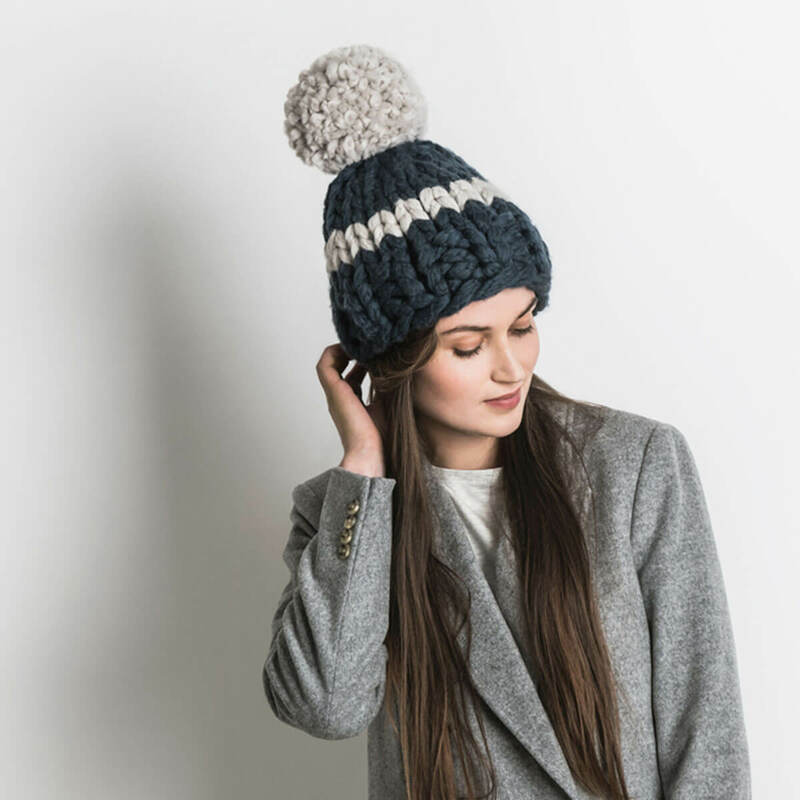 On the way we discuss how happy we are to have the stores and knitters who have supported us throughout the past 20 years. We appreciate your business, and can't wait to make more together!